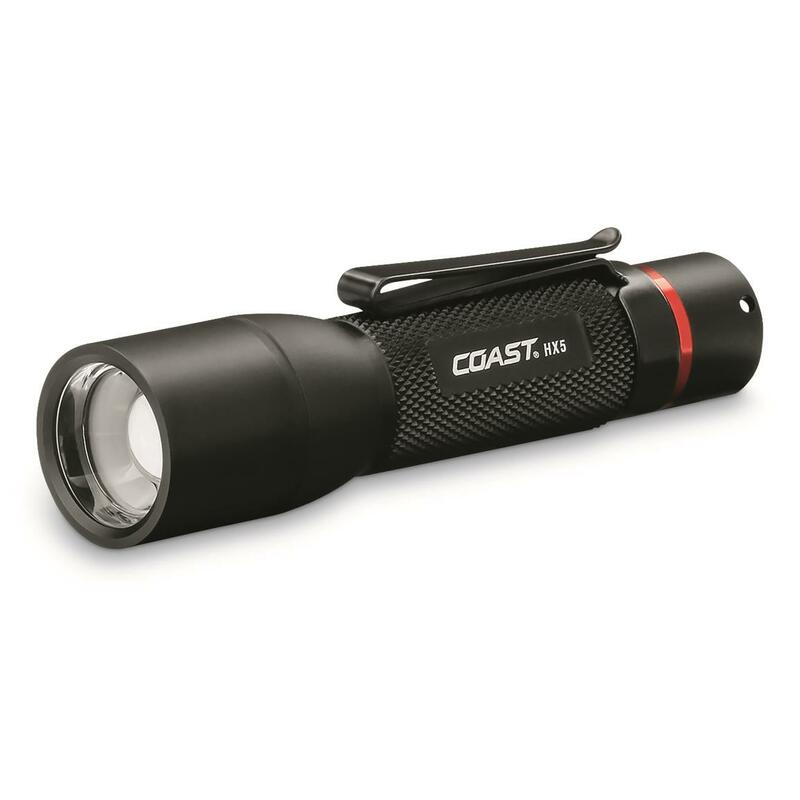 Versatility is the name of this COAST® HX5 Flashlight game. It operates on 3 different battery types, giving you the adaptability you need while on the go. 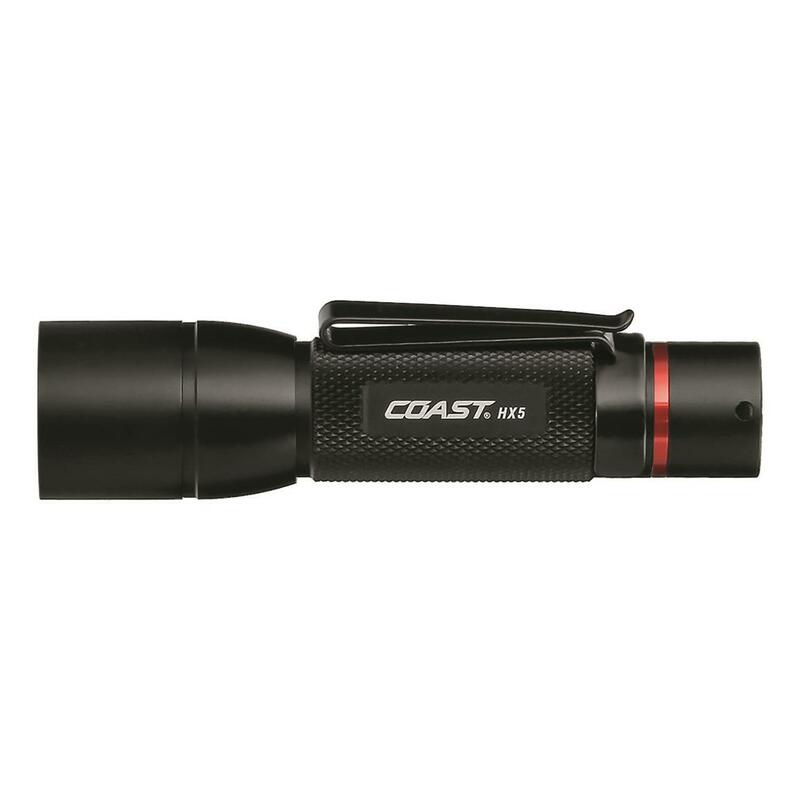 Easily change from a concentrated spot light to a larger-diameter flood light by simply pushing or pulling its housing with your thumb. Handy 2-way clip attaches to a baseball cap bill, or holds it steady in your pocket.